One-Shot. Sakura is the go-to girl when someone needs to get an emergency gift on Valentines day (a.k.a. Naruto) She will go to the store and buy whatever gift you need If you're in a bind. She's never had a valentine herself, so It's a little heart-breaking and shocking when Sasuke calls and asks her to go to the store for him and buy him some gifts for his secret valentine! How will Sakura cope? And who is Sasuke's valentine? Sasuke's about to find out that no one waits forever, but miracles can happen as well. Find out how he deals with a heartbreaking love, and the inevitable future to come! Sequel to Cherry Blossom: Sharigan. Two years have passed and team 7's pathes will cross again. Will Sakura keep her promise and keep ahold of Sasuke. And will Sasuke really have a part in this war? Read on and enjoy. Sasuke and Sakura return to the village hidden in rose petals where they have a run in with a vicious group called The Black Scorpion who intended to use a forbidden power as their weapon. 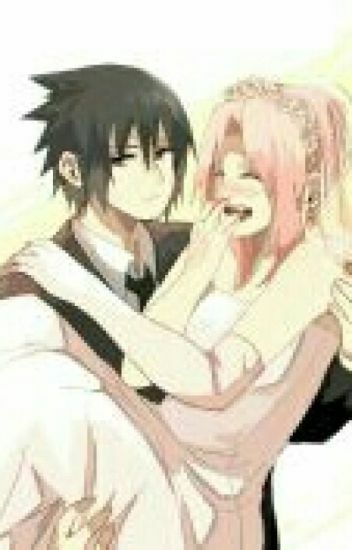 This is the sequel to Sasuke and Sakura-Rose Village. A story I dedicated to the lovely AmericaS16. I hope you enjoy. Sasuke wants to see Sakura one more time. Kakashi just can't seem to stop walking in on personal moments for the guys. All he wants is some money for the new come-come paradise book! Is that so hard to ask for? Well, apparently it is, and the boys aren't appreciating being walked in on when they're trying to make a move or two on their female love interests! Especially Sasuke, when he's in the process of wooing little Sakura to be his forever partner, and a couple gropings before hand! What are you going to do about it Sasuke? Sakura is sent on a mission by the Hokage Kakashi. It's strange though. This mission is out in the middle of no-where, and with no real problem that seems to need to be taken care of. Why would Kakashi send her here? Mean while, Kakashi sends a letter to the traveling Sasuke, telling him Sakura exact location and mission. Kakashi! Could you secretly be an obsessed match maker? !